This trendy 23-room hotel is everything you’d expect from a canal-side sister of the UK’s Cowley Manor: friendly, spoiling and boldly modern, with a flourish of tradition. 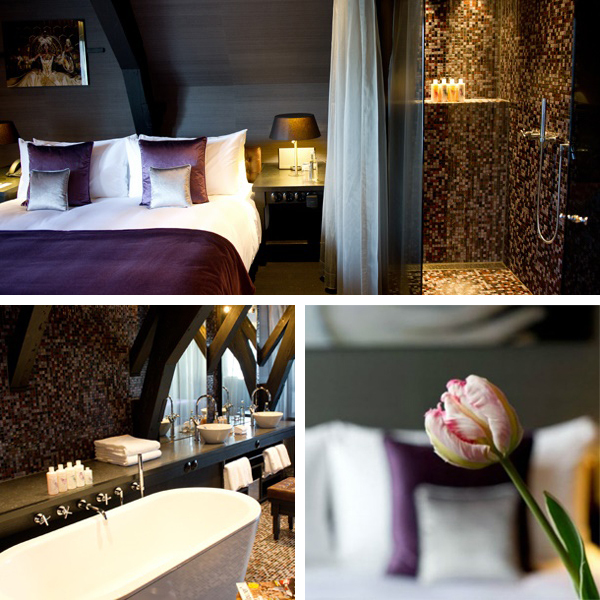 It’s a jewel in the crown of Amsterdam’s hip Jordaan district. Unlike many of its neighbours, Canal House also has an abundance of space. 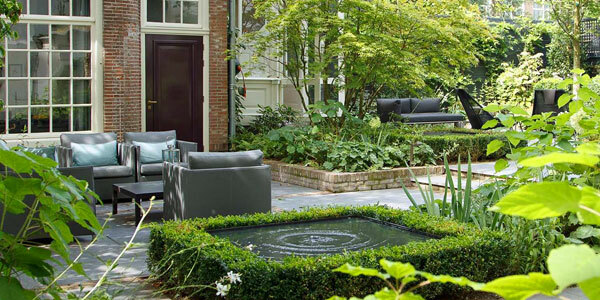 Many of the rooms in the trio of 17th-century merchant’s houses are larger than you’d expect, and there’s the added bonus of a wonderfully peaceful garden – one of the biggest in jam-packed central Amsterdam. Rooms: The interiors of Canal House are a treat from the moment you step over the threshold. 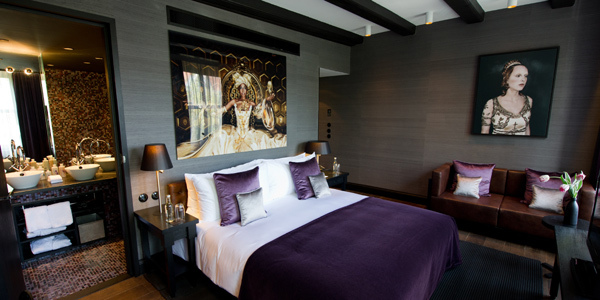 You’re greeted by wall-to-wall repros of Dutch Master paintings in gilded frames, and sumptuous, plush décor. The rooms are no different: expect thick plum curtains, silk wallpaper and beautifully restored original features, as well as modern additions such as flat-screen TVs, Blu-Rays and iPod docking stations. The main difference between categories is size; otherwise all rooms follow the same decadent vein. The largest, Best, is a huge open-plan suite that sprawls over the entire top floor, with sweeping views of the canal. 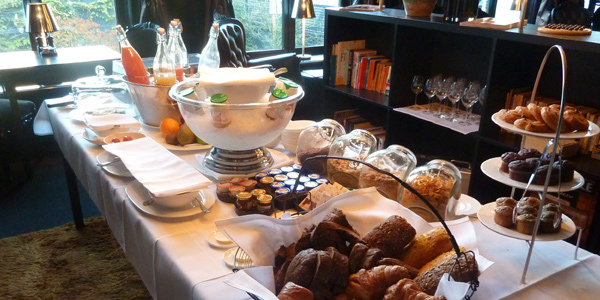 Food: There’s no restaurant at Canal House, but you’ll be treated to a fantastic breakfast spread in The Great Room: pastries, breads, cakes, fruit, meats, cheeses. Venturing out for other meals is no problem at all in a neighbourhood studded with restaurants and cafes, and staff can make some excellent recommendations. If you can’t bring yourself to leave the sprawling luxury of the hotel, you can always plump for cocktails and dive into the snack menu at the bar. We loved the tasty little Dutch morsels like veal croquettes and shrimp bitterballs. Top tip: You’ll find a ‘Black Box’ in your room containing easily forgotten bathroom essentials, so don’t panic if you didn’t pack any cotton wool!